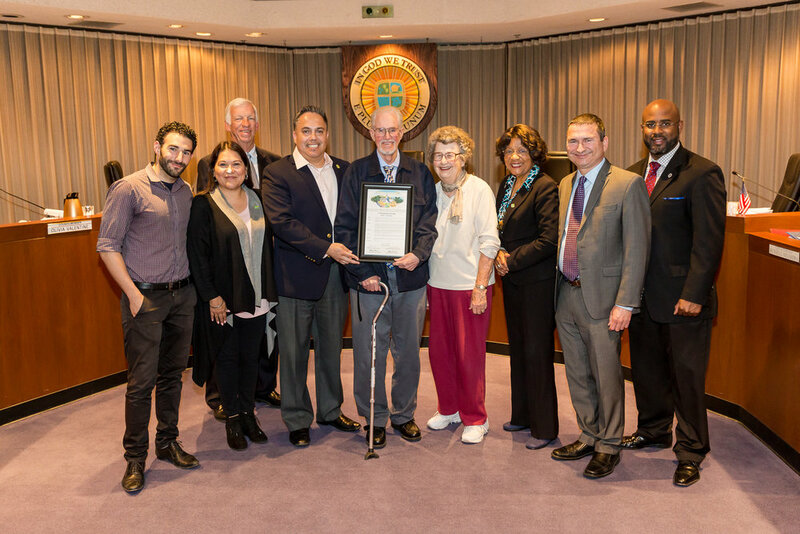 A proclamation was presented to artist Skye Amber Sweet for her donation of a mural at HollyPark expressing her love for the community and its continued growth. The mural was painted on March 25 and 26th of 2017. Children at the park were able to participate by adding their hand prints into the design of the mural. The Veteran of the Quarter award was presented to Alan C. Richards. Mr. Richards served in the Air force and has been an active leader in the community for many years. Adriana Rodriguez spoke on behalf of the I Heart Hawthorne group. The group is a resident lead movement to promote and encourage civic pride and involvement in the community. The group held a I Hearth Hawthorne Community Walk and participated in the 8th Annual Service provider Fair.